In conclusion to our three-part blog A Look at Bankruptcy Fraud in the U.S., below we will take a closer look at how bankruptcy fraud charges may arise, as well as the potential penalties that can be handed down if people are ultimately convicted of these federal crimes. To avoid doing anything that could result in bankruptcy fraud criminal charges, contact Denver Bankruptcy Lawyer Arthur Lindquist-Kleissler. All of a person’s assets have been disclosed. All of a person’s debts have been accurately described. If bankruptcy trustees notice any possible mistakes or discrepancies in the paperwork submitted to the court, these trustees may alert the Office of the U.S. Trustee, the U.S. Attorney and/or the FBI about possible bankruptcy fraud. Here, it’s also important to point out that bankruptcy trustees are not the only ones who may initiate investigations into alleged acts of bankruptcy fraud. Creditors themselves may also make these allegations (which may occur when, for instance, a person has racked up a bunch of credit card debt right before filing for bankruptcy). A loss of an individual’s professional licenses. 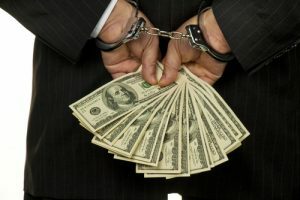 When multiple bankruptcy fraud convictions are handed down (or when a person has a history of prior fraud convictions), the penalties can be far harsher than those described above. If you are struggling to get out from under serious debt or are facing any serious financial crisis, Denver Bankruptcy Lawyer Arthur Lindquist-Kleissler can help you figure out your best options for resolving your financial issues. At Lindquist-Kleissler & Company, LLC, our Denver bankruptcy attorney tailors his services the individual client’s needs and the specific circumstances of a case. This means that our clients can always count on us to bring a fresh perspective to their bankruptcy matters and to examine non-traditional options for their cases. Regardless of the specific services provided, one of the factors that never changes is Mr. Lindquist-Kleissler’s commitment to helping each of his clients resolve their case as efficiently and favorably as possible.